Cruising a wooden yacht in the Atlantic ocean. 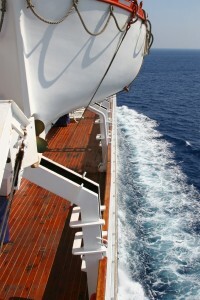 photo: bigstockphoto.com, a great source for inexpensive high quality stock images. Have you seen the latest Plane Reader from GoNOMAD? There are two new additions to this growing family of on-the-go travel guides, guaranteed to get you excited about your trip, wherever you go! The Uncommon Cruises Plane Reader presents 23 stories about cruises–with a twist. How about voyaging to the Arctic on a Russian built icebreaker? Or small ship cruising up the coast of Alaska? Here are some more of the stories in this ebook, priced at just $2.99, and available in seconds on your Kindle, Nook, iPad or Kobo device. * Small ship cruising through Alaska’s coastal islands. 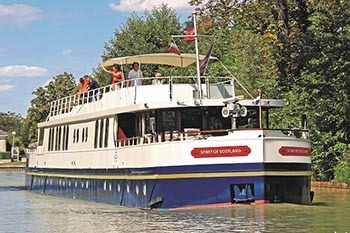 *Cruise the Canal du Midi in Southern France. *New Zealand’s Doubtful Sound by small vessel. *A Viking Voyage up Norway’s Coast aboard the Hurigruten.